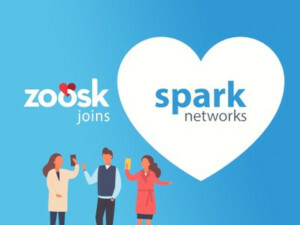 Spark Networks SE announced its entry into a definitive agreement to acquire Zoosk, Inc. With the addition of Zoosk, Spark Networks will more than double in size and reach over one million monthly paying subscribers across the two platforms. Spark Network's current portfolio of online dating brands includes EliteSingles, SilverSingles, Christian Mingle, Jdate, eDarling, JSwipe, Attractive World, Adventist Singles and LDS Singles. Under the terms of the agreement, Spark Networks will acquire 100 percent of Zoosk's shares with a combination of cash and stock valuing the company at approximately $255 million based on the closing price of Spark Networks SE stock on March 20, 2019. The Meet Group has acquired Growlr, a free dating platform for the gay bear community. Growlr joins MeetMe, Lovoo, Skout and Tagged in The Meet Group’s portfolio of mobile social entertainment apps, a move that marks the parent company’s first foray into the LGBTQ market. Match Group announced that it has fully acquired dating app Hinge, owning 100 percent of the company along with other high-profile brands like Tinder and OkCupid. This news comes on the heels of Match Group’s announcement that it exceeded revenue expectations in the last quarter of 2018, causing its stock to rise. Previously, Match Group stock had been downgraded from hold to buy by Deutsch Bank analysts. But with the earnings report, its stock climbed more than 5 percent. Part of the appeal of Match Group to investors is that it has acquired a host of popular dating apps, including Hinge. The app has been through a rebrand over the last year, focusing on attracting more serious daters. Love is in the air for ProSiebenSat.1 and eHarmony. The German broadcaster has purchased the LA-based dating service through its newly formed e-commerce division, NuCom Group. The company plans to merge eHarmony with its own online dating platform, Parship. The parties agreed not to disclose the details of the transaction. “Creating growth and leveraging synergies are key elements of our strategy. This acquisition is an excellent fit. Bringing these two strong brands together will immediately create a world leading online matchmaking company,” ProSiebenSat.1 CEO Max Conze said in a statement. Parship is one of the most popular dating platforms in the German-speaking and Benelux regions. NuCom Group has developed the company into one of the most successful properties in its portfolio since acquiring a majority stake for €100 million in 2016. Like eHarmony, Parship is focused on long-term relationships and uses a compatibility algorithm based on a comprehensive questionnaire to match users in its database. 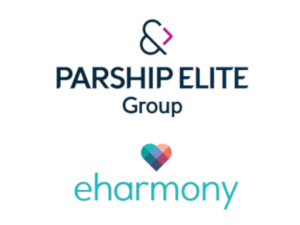 Parship and sister brand ElitePartner is expected to have 2 million new registrations this year while eHarmony expects 2.8 million. 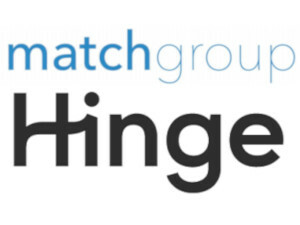 This week, Match Group announced it has acquired dating app Hinge. According to the press release, the deal gives Match Group a 51 percent stake in the company. Match first started buying shares in Sept of 2017 and has the option to buy remaining shares of Hinge within the next year. Hinge has spent the last few years revamping its image and features, creating an app that countered Tinder’s hook-up reputation, and aimed to create a space for more serious daters. 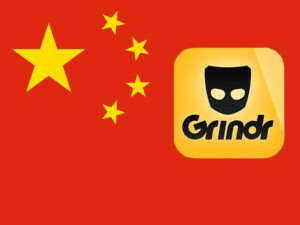 This included dumping its initial Tinder-like swiping feature and allowing clients to build profiles more like traditional online dating sites. Interestingly, Match Group (which owns Tinder) initially invested in Hinge in the fall of 2017, soon after it debuted its new design. Hinge is most popular among “urban, educated millennial women looking for relationships,” according to Match Group CEO Mandy Ginsberg. It has also grown its user base to “five times what it was a year ago,” according to an article in The Wall Street Journal, making it an attractive purchase for Match Group.